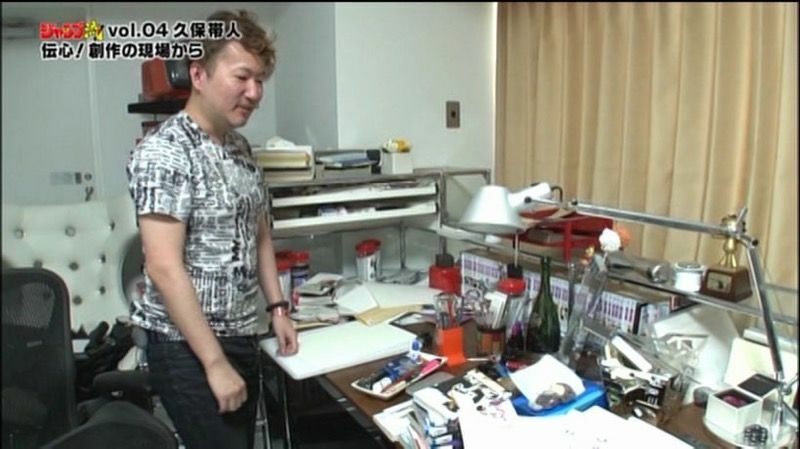 I completely understand why manga artists have such windblown workspaces. While wearing an artist's pair of shoes, I can say that it's all because of the worrisome deadlines. Bakuman and Sekaiichi Hatsukoi spotlights how working for a manga publishing company makes some characters' life look unkempt. 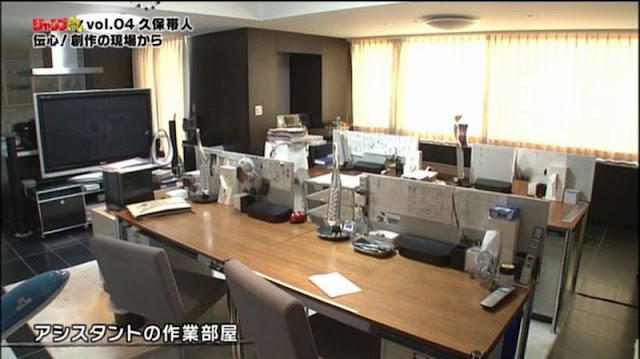 They say how a person maintains his work environment reflects his attitude toward work and life. But still, the world of Japanese manga is too busy to mind about that. Some of them may have been implementing the "spick and span"rule every single day or has no problem letting a service guy do the cleaning chores. Unfortunately, this may not be an easy task for others. 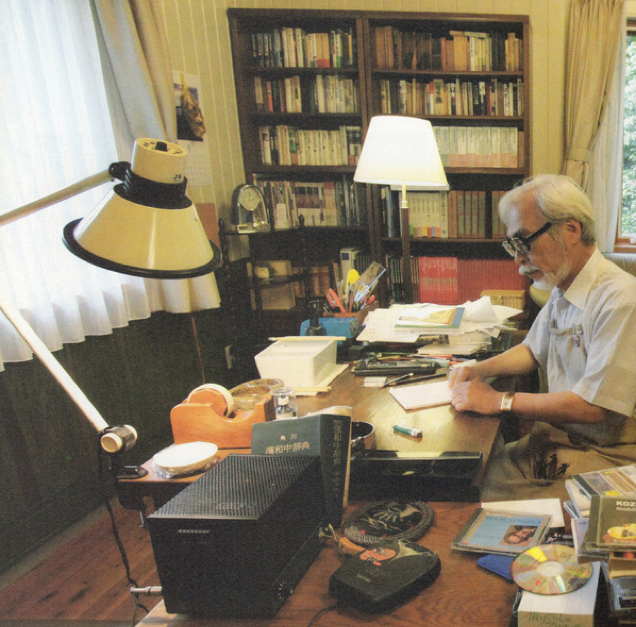 Let's start checking on Hayao Miyazaki's work station. Neat, eh? That was him working on one of his desks. 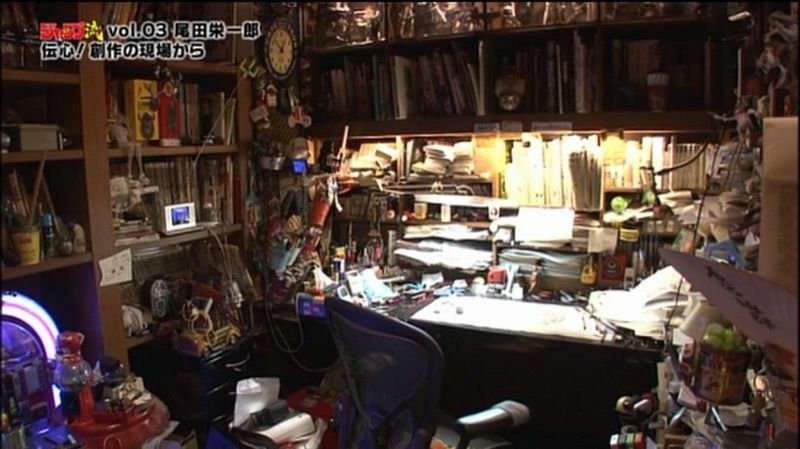 Time to meet the messiest manga artist workspaces of all. 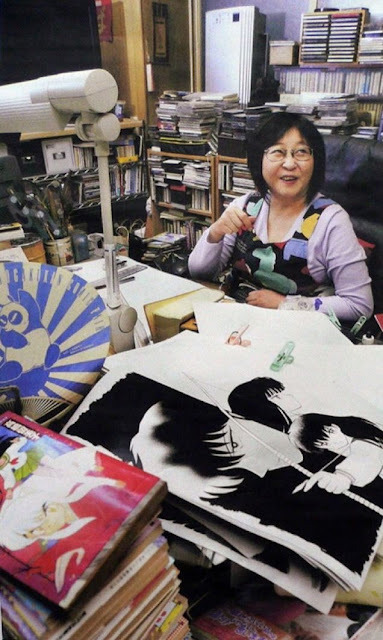 Artist of Inuyasha and Urusei Yatsura, Rumiko Takahashi loves collecting paper buildings. You'll see paper works stacked and piled up all over her desks. Bleach manga artist Tite Kubo also has issues with housekeeping. At first look, the place looked well-kept as the floors shine like new. Delving deeper into his cave, you will notice random tools and clutter on his desks. Clothes, boxes, papers, bottles, canisters are free to seat wherever they want to stay. Look at the evidence which shows that Kubo's assistants maintain the cleanliness of their work station unlike their sensei. 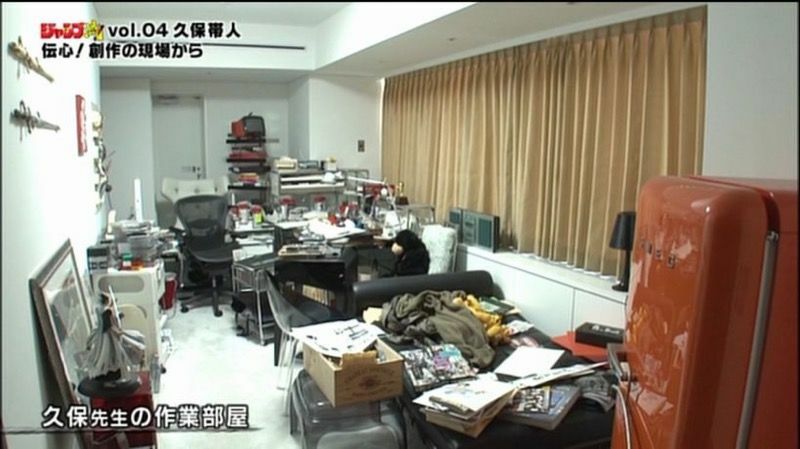 Next workspace raided is of someone who tries to keep up with his crazy schedule and deadlines. The hard-working Eiichiro Oda who gave us One Piece have plenty of scribbles, ink, cigarette butts and pencil strewn ashes on his desk. The work station appeared like a wok with all the clutter mixed to form one delicious recipe. Not sure about the delicious part. 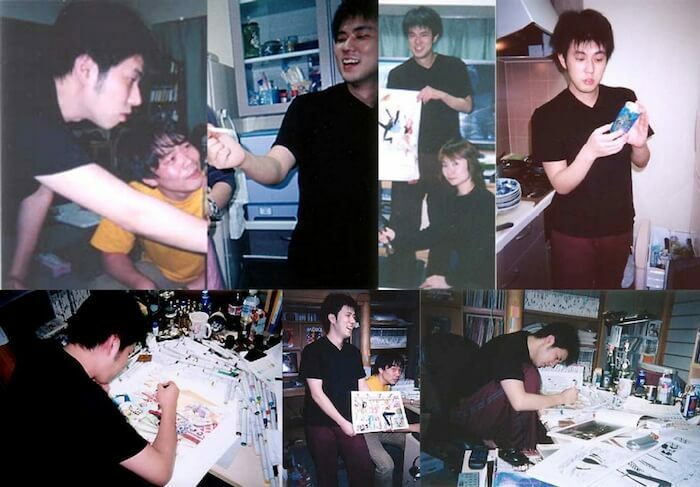 Lastly, but of course not someone who has the least mess to deal with is Hunter x Hunter / Yu Yu Hakusho creator Yoshihiro Togashi. 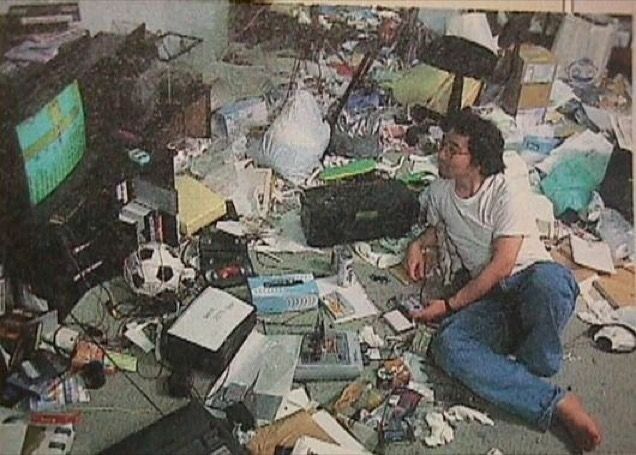 This is an old photo of him procrastinating in the sea of trash at his own work space. 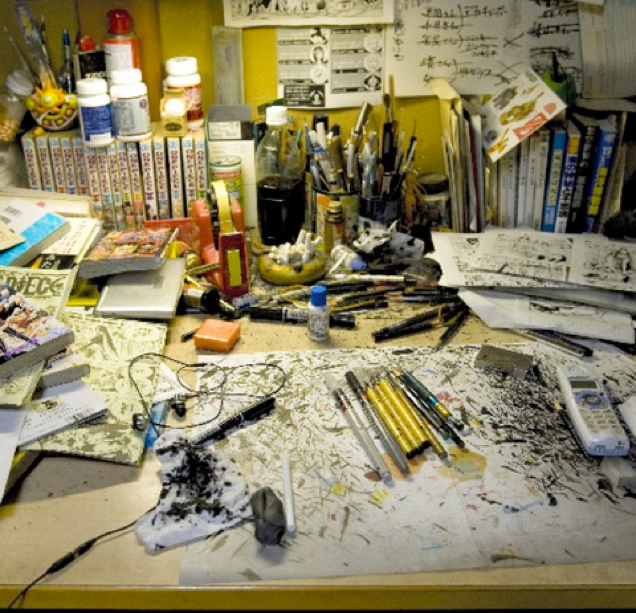 It concerns us a little as messy work desks are pretty understandable for a busy person. 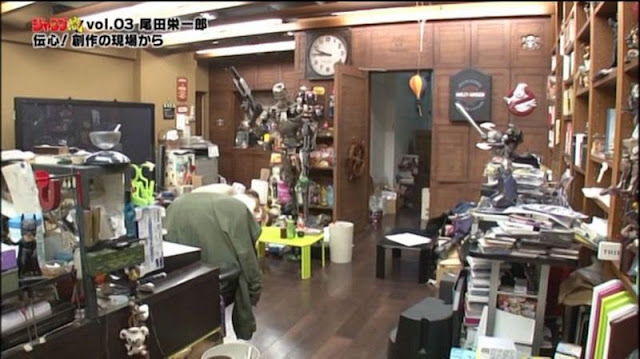 However, flooding your home with clutter makes you a legend in this particular list. The amount of mess to clean could take years, not to mention the back pain you'll gain from picking those junk and throwing them away. Now we know why Hunter x Hunter suffers a great hiatus. Can someone initiate a gofundme campaign to sponsor a regular housekeeping service?